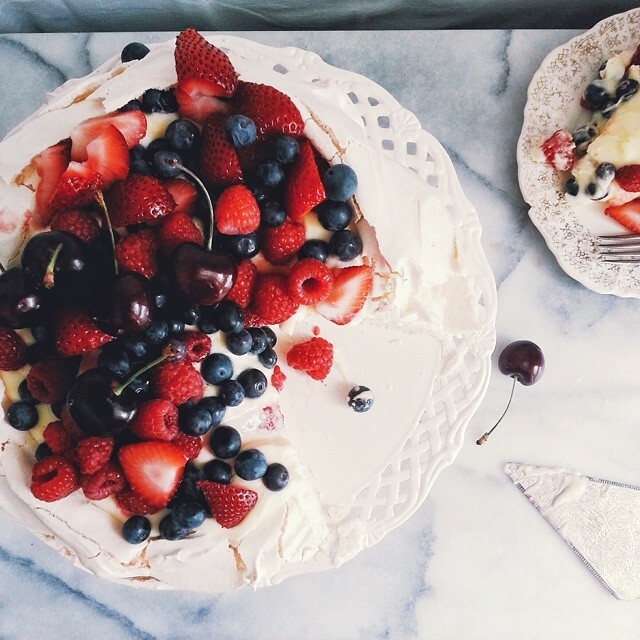 The Pavlova I baked last week. I mentioned that meringue is one of my favorite sweet things. Chocolate is so-so, and ice cream leaves me cold :-/. And what about you What is your favorite dessert | Снова Павлова. Меренга, безе - это у меня в фаворитах.